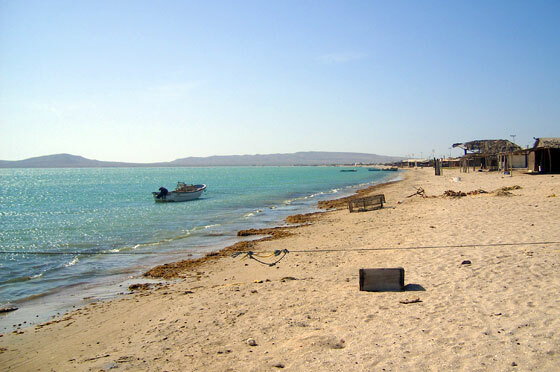 Tucked up in the north-east corner of Colombia towards the Venezuelan border is the arid peninsular known as Cabo de la Vela. Representing yet another of Colombia's numerous microclimates, this region is where the country's largest desert meets the Atlantic ocean. It is an area sparsely populated, mainly by the region's indigenous people, the Wayuú. 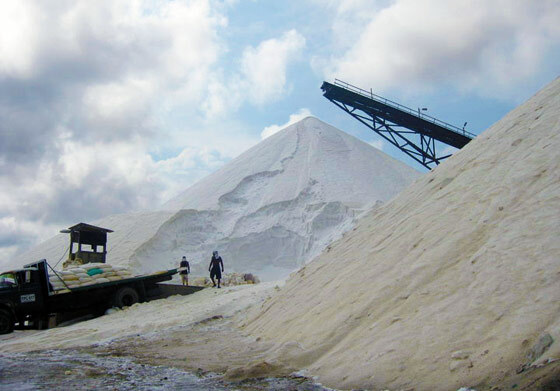 Salt mines (at Manaure) and coal mines are an important part of the economy and landscape. Even though there is not a huge amount to do here it is worth visiting for a couple of days, if only to wander along the coast marvelling at the area's beauty. Cerro Pan de Azúcar is a hill which resembles the famous peak of the same name in Rio de Janeiro. It is possible to walk to the hill from the town (it takes about an hour), but if the heat and/or distance is too off putting you can easily hire transport, such as a jeep, from the town to take you there (it takes about 10 mins). At the base of the hill is a nice beach where you can bathe. It takes only 5 minutes to walk to the top of the hill from where you are treated to speactacular views to the west over the desert and salt flats and east towards a group of wind turbines and beyond to Venezuela. 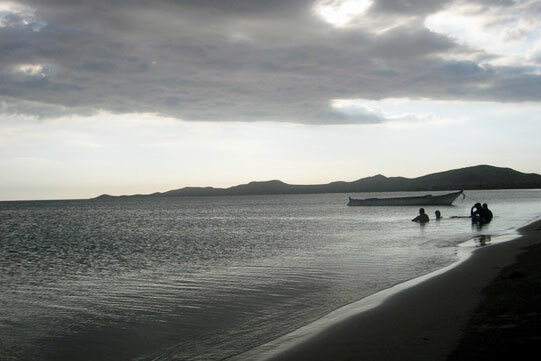 To reach Cabo de la Vela you can take a bus or taxi from either the city of Riohacha or the border town of Maicao to Tres Esquinas (a small town just off the highway between Riohacha and Maicao). From there you need to contiune to Uribia. If you've hired a taxi they will generally take you all the way to Uribia. If you take a bus you need to check if it goes the Uribia or if you have to catch another small 'buseta' (which shouldn't be a problem either). 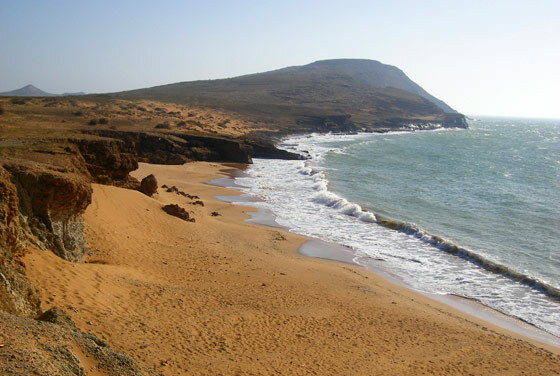 From Uribia you can organise a jeep or other form of transport to take you on to Cabo de la Vela. The journey time depends on the adequacy of the transport you have, so choose well! You should be looking at a journey of between two to three hours. Uribia has a large indigenous population (the wayuú people) and is a colourful place. Take a moment in between transport negotiations to have a little look around. 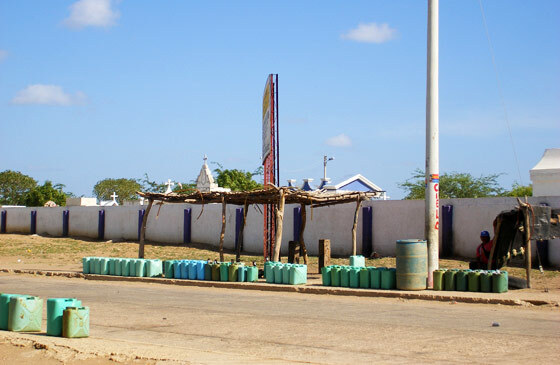 The town's proximity to the venezuelan border means that gallons and gallons of cheap gasoline is smuggled across to Colombia and sold here. From Uribia the road follows a railway line (quite a rare sight in Colombia these days) used to transport coal to be exported from Puerto Bolívar, a few kilometers east of Cabo de la Vela. 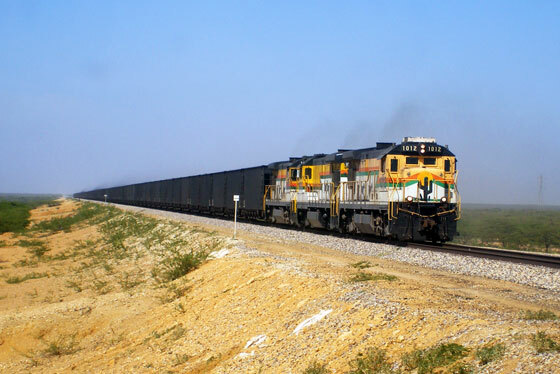 Trains run fairly frequently along the line and you're likely to see at least one during the trip. As you follow the train line the terrain gets more and more arid. After about an hour the track diverts away from the train line and weaves its way through the cacti and the harsh desert of the peninsula. 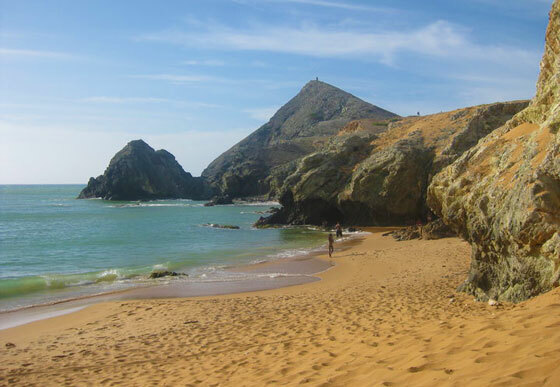 Cabo de la Vela is basically one long street that runs parallel to the shore, along which you can find various small hotels offering basic rooms or hammocks. Tourism is in its infancy here and accommodation prices are realtively low. There are, of course, no banks here so bring all the money you think you'll need, plus a bit extra. Along the main street can also be found several restaurants. Fried fish dominates every menu in town and is fresh and, for the most part, delicious. Equally mouth-watering are the cocunut rice and patacones (plantain mashed into small, round pancakes) which will almost certainly accompany the fish. Enjoy! The beach itself is decent, if unspectacular. Seaweed collects in the shallows, but once you get beyond that you can wade far out to sea before the water reaches your neck. 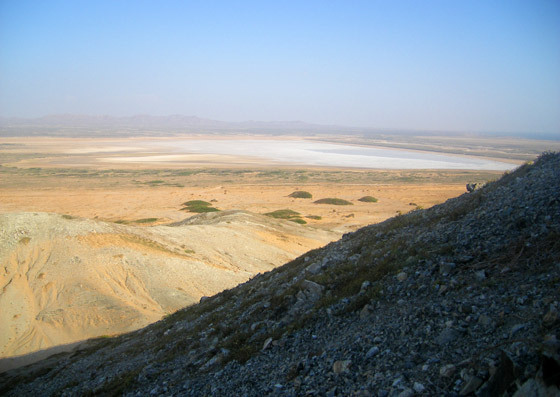 Several kilometers west along the coast from Cabo de la Vela lies the small town of Manaure, home to large salt mines which produce the majority of the salt consumed in Colombia. As well as the attraction of the mines, visitors also come to see the large groups of flamingoes that flock to these parts. You can reach Manaure from Riohacha to the west or from Maicao to the south east via Uribia.